During the Fall2008 semester the Career Center will host two Career Fairs. The Education Career Fair featuring approximately 30 school systems is on October 27, 2008. For more information check back here on the Career Center Blog, on CISTERNonline, or on the Career Center website. 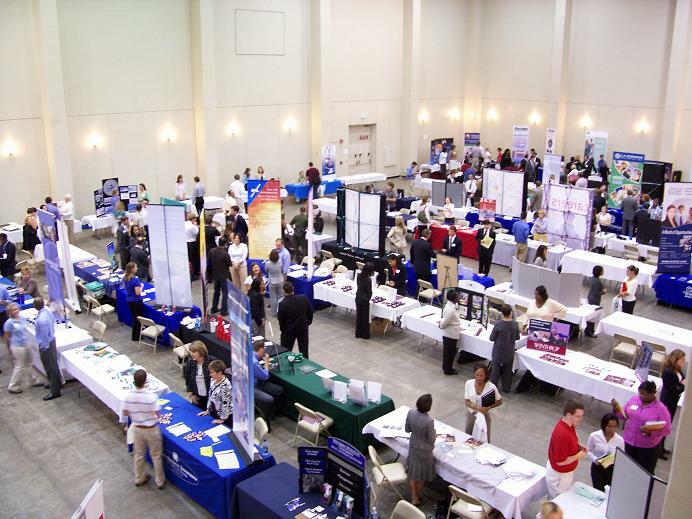 The second fair, Career & Grad School Fair, is on October 29 20, 2008 in the Gaillard Auditorium. Hours are Noon to 3:30 pm. At this fair you can find information on graduate schools from around the country including law and medical schools. There will also be companies and organizations from a variety of different fields looking to hire both interns and full-time employees. For more information about who is attending check on CISTERNonline at the beginning of the fall semester.